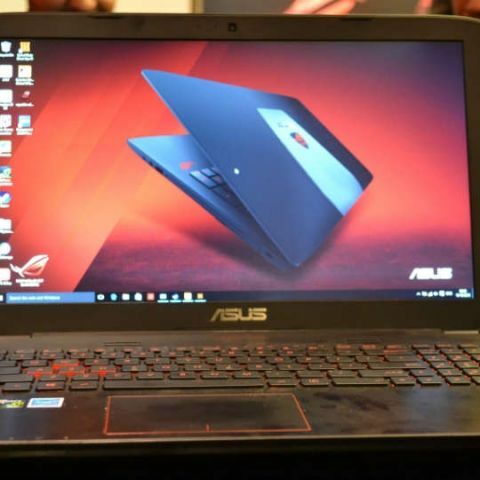 Asus announced the ROG GL552JX laptop with 4GB of NVIDIA GeForce GTX 950M GPU. Priced at Rs. 80,990, it seems to be a very good entry level option to consider. Asus today updated its ROG GL552 gaming laptop in India after about six months in the market, adding a slightly more powerful CPU and more VRAM for the GPU, from the earlier Core i7 processor and GTX-950M GPU. While the form factor has not changed, the small updates in the hardware and the revised price puts it within reach of gamers on a budget. 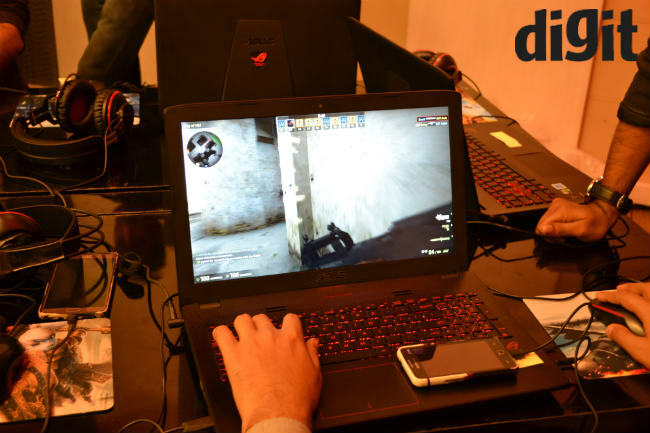 We were present at the launch and tried the laptop ourselves, playing CS: GO and Call Of Duty: Black Ops. Needless to say, we have a pretty good first impression of what the laptop is capable of. So here's the low-down. 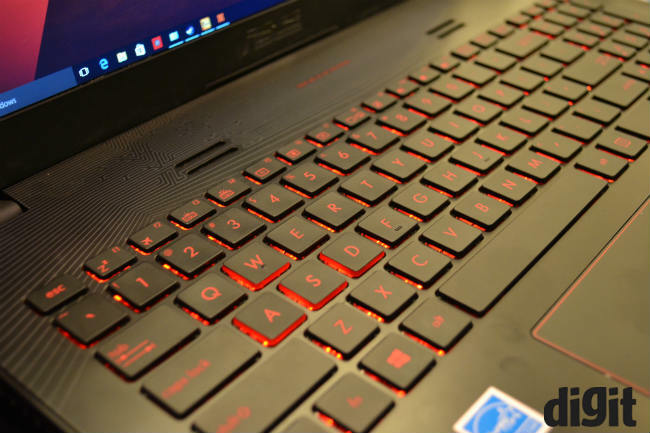 Asus' ROG range of laptops offer a distinguished design. While it is nothing different from its predecessor, Asus says that the design elements in the ROG range have been taken from the “F-22 stealth fighter”. Now that might be a tad exaggerated, there's no denying that the metal finished top hood with the glowing ROG logo does look good. The “intricate Mayan detailing” above the keyboard is a nice touch and makes the laptop stand out. All in all, all these small details give it a distinguished look, as mentioned above. The material of choice here is plastic and Asus has made sure it is of good quality. The whole keyboard and the palm rest has a matte-ish finish to it, which adds grip to the keycaps and is very nice to use. The keyboard and the trackpad have pretty much the same feel and tactile feedback as the older model, which was launched back in June. The keyboard is backlit and offers better travel distance of 1.8mm, which feels better than the normal 1.5mm on regular laptops. Like we mentioned, the laptop gets a slight update in the hardware department. Starting with the CPU, which is now an Intel Core i7-4750HQ instead of a Core i7-4720HQ. The performance difference between the two is not that big but the Core i7-4750HQ is a more frugal (in terms of power consumption) beast compared to the Core i7-4720HQ. The biggest update comes in the form of a more powerful GPU and now the laptop has the 4GB VRAM variant of the Nvidia GTX 950M GPU. This makes the graphics performance of the laptop considerably better. We played CS:GO and the Call of Duty: Black Ops III on the laptop on full settings and the laptop handled them well. A game like Black Ops III will not run on full settings on a 2GB VRAM variant. While CS:GO was very smooth, we did see a slight screen tear when playing Call of Duty, which is expected, but still better than its predecessor. This makes the performance very likeable, considering its 80K price. The laptop has a 15.6-inch matte FHD panel, which offers very good viewing angles. In the short time we spent with the device, the colour felt rich and accurate across the display. The display is able to do justice to the games that we played on the laptop at high settings. Other hardware specs include 8GB of RAM and a 1TB HDD (7200 RPM). While this is fine for most, we wish, Asus could have included a 16GB RAM option and at least a 128GB SSD into the package. However, Asus does say that users can do that themselves, by removing the bottom panel and upgrading the memory or storage according to their liking. The laptop has user replaceable RAM and a HDD slot. It also has a M.2 SATA slot, which allows for faster storage options. Asus confirmed that this won’t void the warranty. The laptop comes with 1 year warranty, which is a standard these days, and Asus also provides two years extra warranty for Rs. 1,500. 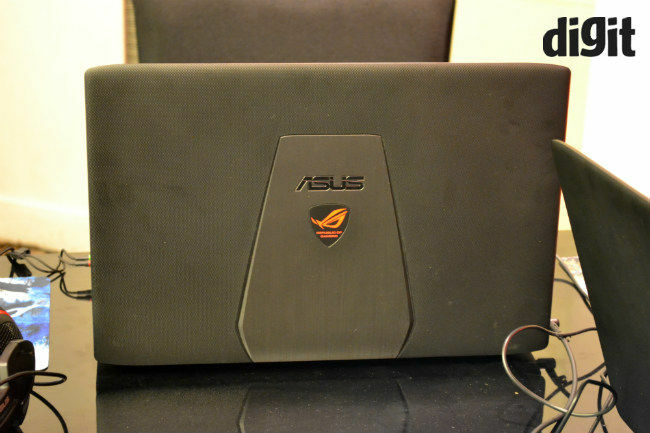 On first Impressions, it is quite evident that the Asus GL552JX, with its 4GB Nvidia GTX 950 GPU, has the potential to be the best entry level laptop, but how well will it stack up against the competition? We will try to take the laptop to the limit to find out once we get it for review.